The State of Alaska has recently been pursuing a plan to bridge the gap between Alaska’s untapped oil reserves and the emerging Chinese market. The 42-inch diameter pipeline would begin in Prudhoe Bay, and extend south 825 miles to Nikiski, southeast of Anchorage. The project is expected to cost $43.4 billion. Pundits of the plan point to the economic benefits of drilling. Currently over 200 trillion cubic feet of natural gas lies below the U.S. arctic. In 2017, U.S. consumption was only 27 trillion cubic feet. Pundits see high potential in exporting natural gas to China, who’s demand is expected to soar in the coming decades. The plan has encountered criticism from U.S. environmentalists because of the additional greenhouse gas emissions the pipeline would cause, and because of the disruption it would cause to the habitat of endangered species, including the beluga whale. Some environmentalists do not see it negatively, stating that the pipeline’s ecological impact will not be high if it follows sound construction practices, and that natural gas will be a big improvement over traditional methods of heating such as wood burning. Some have doubted the economic benefits of the plan because they fear the pipeline will increase the United State’s reliance of fossil fuels, while the rest of the world moves towards renewable energy sources. In the long run, the pipeline may not make sense financially. Regardless, the plan has attracted the interest of many multinationals, including BP, who recently signed a “binding” agreement with Alaska’s pipeline development agency. Major Chinese companies have also studied the project’s potential for long term investment. The Bank of China would lend money to the project, and China Investment Corp. would invest in it. 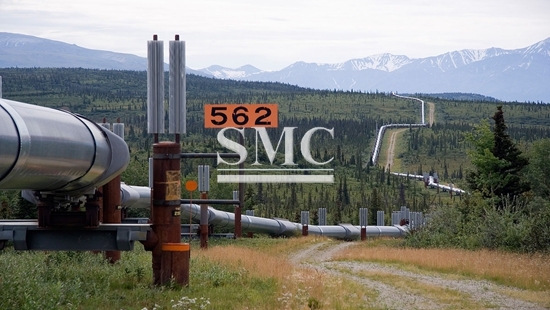 At SMC, we are proud to offer top quality pipeline to our many customers. We have years of experience with gas, oil, and water pipeline, and tailor our products to your specific needs. For more information including specifications and price, please click here.